Need to easily hang your moving blankets for sound absorption? In this episode of the House of Hacks, Harley shows an fast hack to make moving blankets easy to hang for acoustic treatment. Want to see how to make it easier to hang cheap moving blankets to absorb sound? Today at the House of Hacks, we're going to do exactly that. Hi. If we're just meeting, I'm Harley and this is the House of Hacks where we use our God-given creative talents to make things in the workshop out of wood, metal, electronics, photos and other things of this nature. 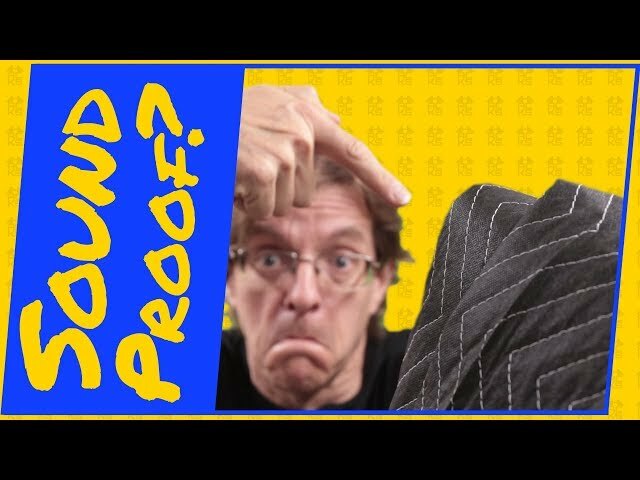 In this earlier video, I looked at how surprisingly effective cheap moving blankets were for an acoustic treatment for a room. I measured the echo in my workshop before hanging them and then hung them and then measured it again and found that it worked really, really well. Now I need a way to easily hang them, move them around and put them to use. In that video, I used some spring clamps to hold the blankets to some overhead joists here in the workshop. It worked well enough but it was kind of cumbersome since the blanket was held in place by the jaws of the clamps. 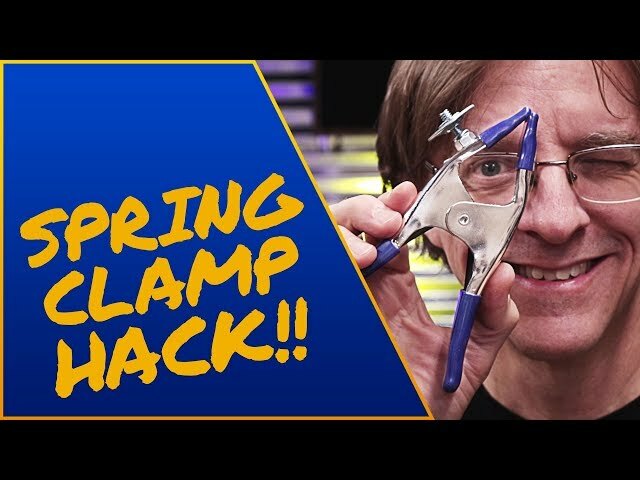 As I showed in this other video, I put 1/4-20 bolts on spring clamps in order to hold photography accessories. One such accessory are these. They're studs that are a couple cents apiece when bought in bulk and are designed to hold studio lights. But of course we don't need to use them for that. At the hardware store, I picked up a grommet installation kit with some large grommets and some paracord. We'll use this to hang the moving blankets. The installation kit is designed for two sizes of grommets and so it comes with two cutters for material to make holes the right size and a piece of wood to back those cutters up when cutting the material. To install the grommets, the kit comes with an anvil for one side of the grommet. This is two sided. One for the large size and one for the small size. And it comes with two punch heads. These are used to crimp the two halves of the grommets together. To be able to hang these blankets, I'm going to put three grommets on one edge of each blanket. Starting with the large cutter and the wood, I used a hammer to drive the cutter through the blanket and into the wood. This gives me a hole the right size for the grommet. The grommets come in two halves. The first half is designed to go through the hole and the second half goes over the top of this with the material sandwiched in between and then it's crimped together. Place the grommet that goes through the hole on the bottom anvil and then place that under the blanket through the hole. Place the other half of the grommet on top with the curved side up. Use the punch head and a hammer to round over the center part of the grommet, crimping the two halves tightly together. Once the grommets were in place, I then cut the rope into nine inch long segments and sealed the ends. 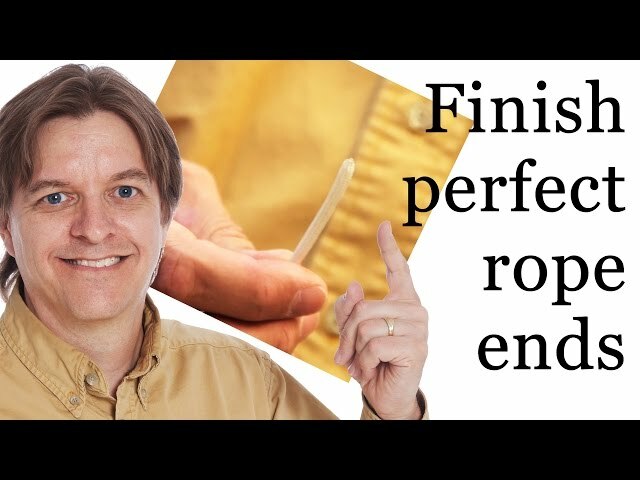 I show in this video how I like to seal the ends of kernmantle rope and paracord. The rope is looped through the grommets and held with a knot. I used a square knot but you can use whatever you like. The loops of rope can now slip over the studs on the spring clamps and I can hang a blanket where ever the clamps can be placed... On shelves... On equipment... And it's easier to use on the joists too. Thanks for joining me on this creative journey that we're on. I'll see you over here in this video that YouTube thinks you'll like. And while making things, remember: Perfections not required. Fun is! OK! We got the audio running this time. Last take I did the entire video and didn't have the audio on. We'll call it a practice.